About IET Sessions - You Can Learn IET! Can painlessly release your suppressed feelings and your limiting cellular memories. Supports you in enhancing your health, life purpose, prosperity and creativity. There are four levels of Integrated Energy Therapy® practitioners and each level expands what an IET® practitioner can offer you in their sessions. Here is a summary of what each level IET session has to offer you. Basic Level IET Sessions – focus on clearing physical and emotional energy blockages from your cellular memory and leave in their place positive empowerment energy imprints. To give an IET Basic Level session you must have graduated from the Basic, Intermediate, Advanced, or Master-Instructor level class. 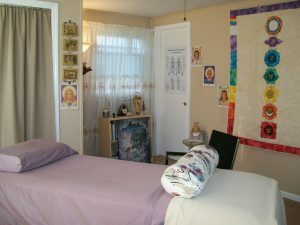 Intermediate Level IET Sessions – in addition to clearing your cellular memory, Intermediate level IET sessions also focus on clearing physical, emotional, mental and karmic energy imprints from your human energy field and leave in their place positive energy imprints. To give an IET Intermediate Level session you must have graduated from the Intermediate, Advanced, or Master-Instructor level class. Advanced Level IET Sessions – in addition to clearing your cellular memory and your human energy field, the Advanced level IET session can help you to discover your soul’s mission and attract members of your soul’s cluster to help you live your soul’s mission and bring your dreams alive. To give an IET Advanced Level session you must have graduated from the Advanced or Master-Instructor level class. Master-Instructor IET Sessions – in addition to clearing your cellular memory and your human energy field, and bringing your soul’s mission alive in your life, the Master-Instructor level IET session focuses on optimizing your 12 Strand DNA, which can further enhance your wellness at all levels and increases spiritual synchronicities that open the doorways to your destiny. To give an IET Master-Instructor Level session you must have graduated from the Master-Instructor level class. 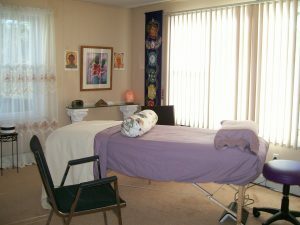 The effects of the session may continue to integrate for up to several days following the treatment. During this time you may feel energized, light, focused, tired, unsettled, or somehow have a sense of being in transition. Thoughts, emotions, and physical sensations may continue to surface as your body adjusts to its new energetic patterns. All of these experiences are good and normal parts of the integration process. Be sure to rest, drink extra water, and be kind to yourself, especially over the next 48 hours. Listen to what your body is telling you and take time to reflect on any experiences or insights that arise.